So, with that in mind, we've checked in with Amy Wetton, founder of Wild Canary Studios (www.etsy.com/ca/shop/WildCanaryStudio), twin mama, and costume and Halloween enthusiast, to curate 5 top Halloween costume tips, plus a list of costume ideas. 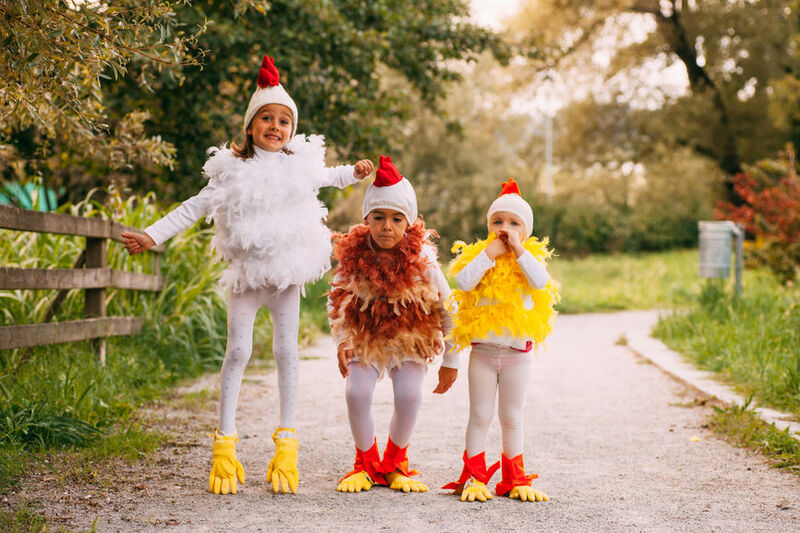 These tips can help make the search for, or the creation of ,costumes more easeful, which will hopefully add more fun to the occasion â€“ which is what Halloween should be about (candy, shmandy!). If you're venturing into the world of making your own costumes, you'll want to explore a variety of costume ideas and map out how feasible it is to make them within your time frame. Itâ€™s amazing what you can do with a sweat suit, some felt and a glue gun! Whether you're making your own costumes or sourcing them from a shop, the Halloween scene moves fast - it's not uncommon for stores to start stocking them at the end of August. The super heroes and Disney princesses tend to sell out fast. You can always grab them and if your kids donâ€™t want to wear them, they are always hot sellers on the buy and sell sites, or donate them to a school for their dress up centre! And be sure to share it with your community! Theyâ€™ll love seeing your dressed up children, to get the Halloween spirit going. And it can also help inspire othersâ€™ next year's costumes.